When warm weather arrives, there is nothing we like to do more than entertain at home. Our general M.O. for parties is to supply the protein and beer while guests bring a side. By protein, I mean BBQ, and by BBQ I mean a multi-grill meal. I have no problem burning a vacation day when I know it means I get to "grill-sit" all day. In fact, just the prospect makes me downright giddy. 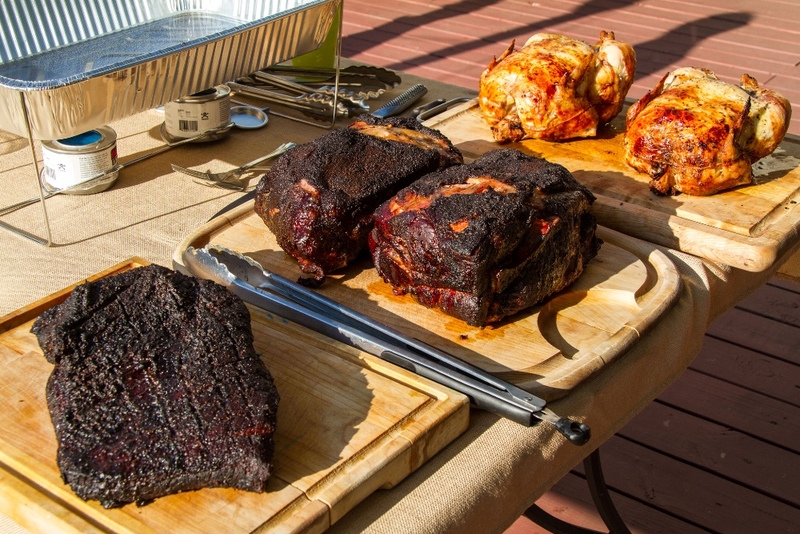 I almost always go with the holy trinity of meat (beef brisket, pulled pork, and rotisserie chickens), so I'm sure to please everyone's palate. I also double up where possible, as this is a great opportunity for vacuum sealing and freezing leftovers. When I am in entertaining mode and this extraordinary day take place, there are a few accessories I can’t live without. 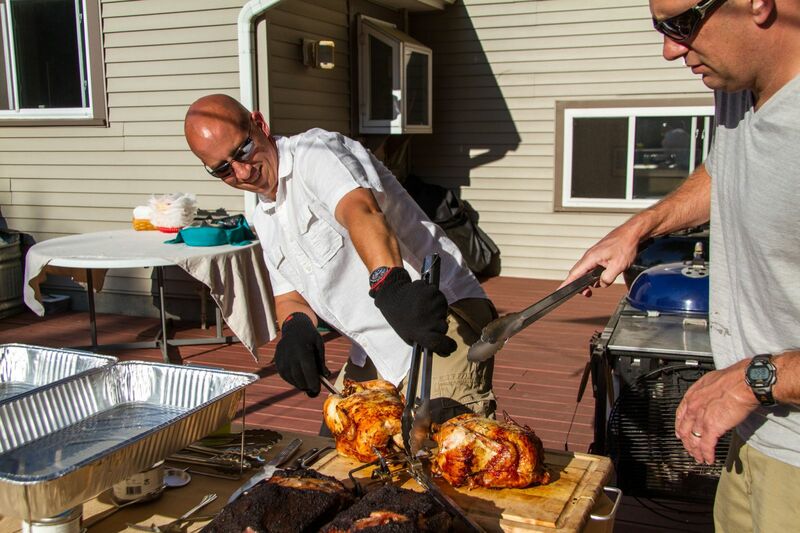 The first are my Weber Barbecue Gloves. The Weber gloves are my go to accessory, they have enough dexterity to allow me to actually use my fingers while protecting my fingers. I love them. Ease of serving is a necessity and when entertaining outdoors, nothing looks better and works better than chafing dishes. 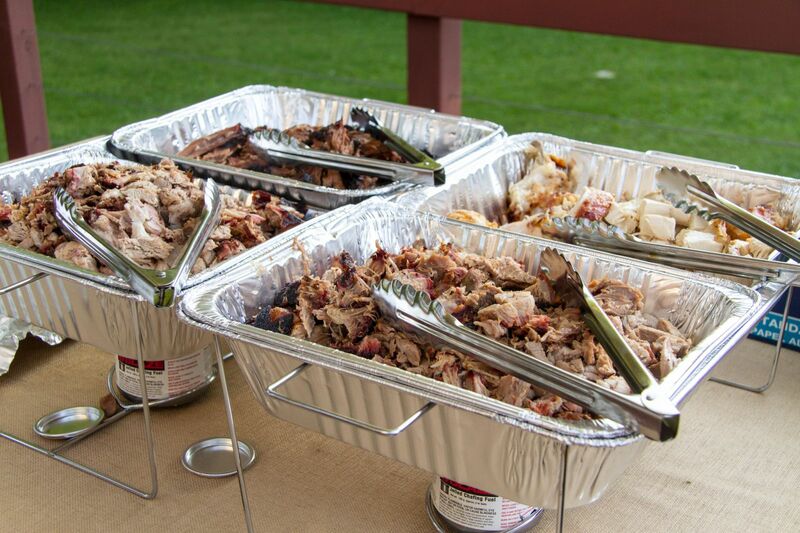 Now while I would love to drop several hundred bucks on chafing dishes I could use at a Mother's Day Brunch, we are talking outdoor BBQ. A great cost effective alternative are disposable pans and stands. For down and dirty outside serving, they work great and for around $40, they are incredibly cost effective. Another easy addition to outdoor serving: squeeze bottles. 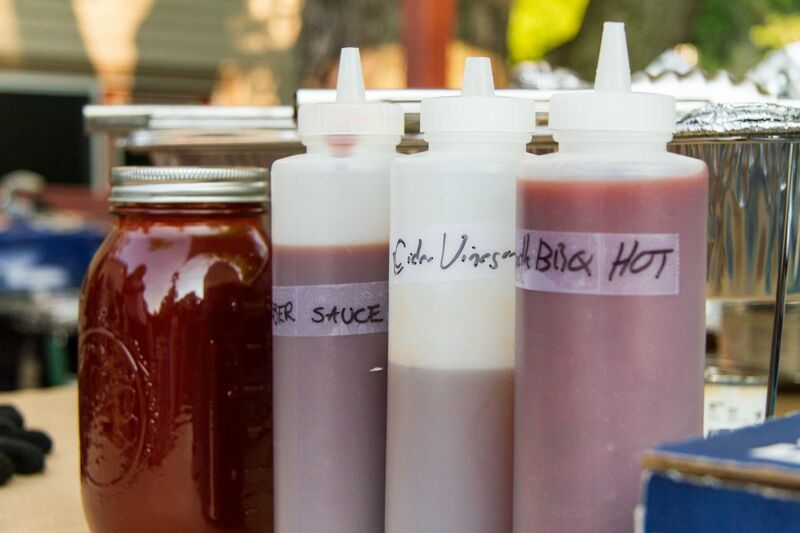 A variety of sauces are a must and since almost all of these are homemade, you need to supply your own bottle. What about the beer? Well, how about a converted Weber Kettle? Now while I realize not everyone has a spare 26 inch kettle bottom laying around, if you do, it makes an excellent beer cooler. By sealing the bottom vents and using a cork for the hole where the ash catcher shaft sits, you have a waterproof kettle with a drain port. 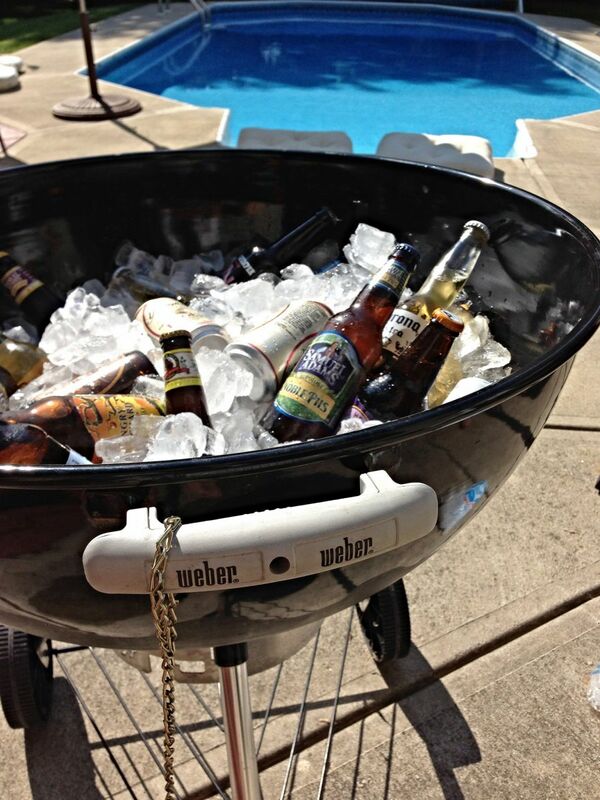 Add in a bottle opener attached on a chain and you have a portable Weber beer transportation device. With the food and beer out of the way, the last piece is ambience. Two of my favorite backyard additions are our Sun Sail and overhead lights. The sun sail looks better than an umbrella and depending on the construct of your backyard, has endless possibilities for mounting. 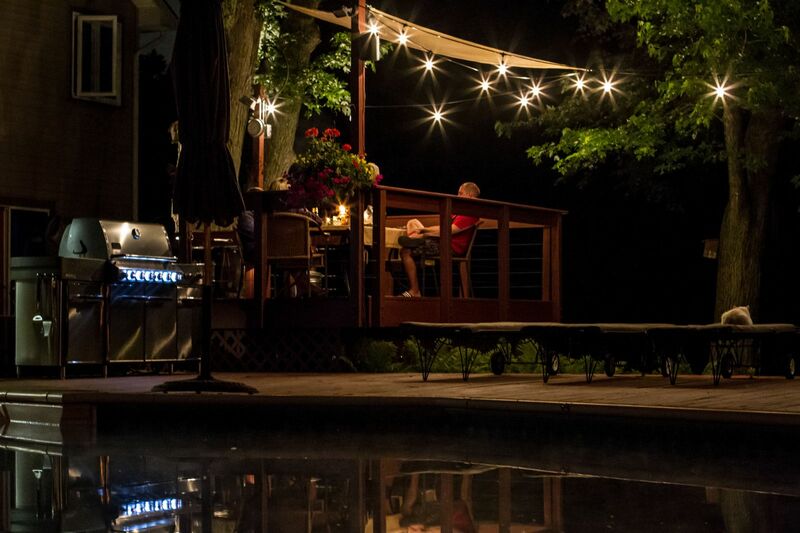 The lights offer the best backyard lighting. If need be, I can light up the backyard with enough light to ward off a prison break. However, creating noontime lighting conditions at night isn't exactly relaxing. Years ago we messed around with Christmas lights, but I was never satisfied with their quality or light output. These lights, however, are great. Here's to your next backyard get together. I hope these ideas help!